This page is a portal to other pages in RailWest which describe in more detail particular aspects of the Signalling of the Somerset & Dorset Joint Railway (S&DJR). 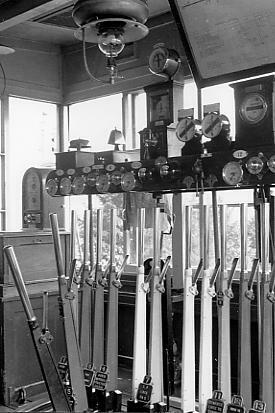 This site is not intended to provide basic information or explanations about the principles and components of railway signalling in Great Britain - you should visit The Signal Box for a wide range of background information. 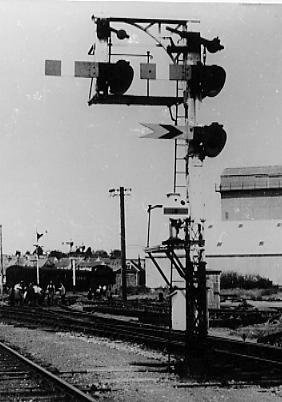 The emphasis here is on particular aspects of signalling equipment and operation on the S&DJR, as well as historical details about individual S&DJR signal-boxes and ground-frames. Topics include the signals, block working and the single-line Electric Train Tablet instruments, as well as pages about individual locations such as Midford, Glastonbury and Corfe Mullen Junction. 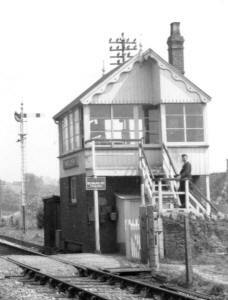 Much of the S&DJR-related material available on this site has been derived from many years of research by the author in his capacity as the Corresponding Member on S&DJR signalling for the Signalling Record Society, and also as the former Signalling Steward for the Somerset & Dorset Railway Trust. Grateful acknowledgement is given to all those who have helped him along the way to record at least a small part of this complex subject. Midford and Wellow photographs © Ian Scrimgeour, courtesy Signalling Record Society.